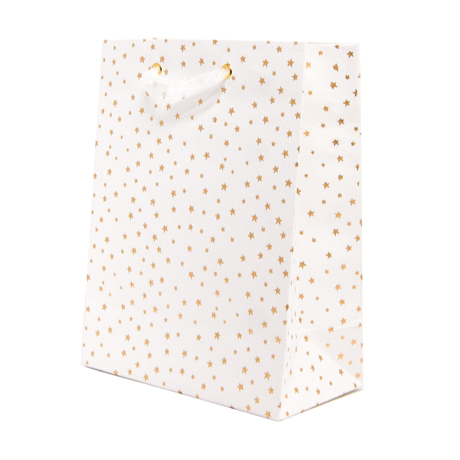 Set the bar high with this magical white and gold twinkling gift bag! Little gold stars make your wondrous gift very special. 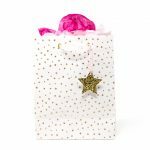 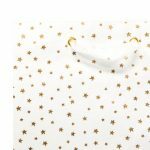 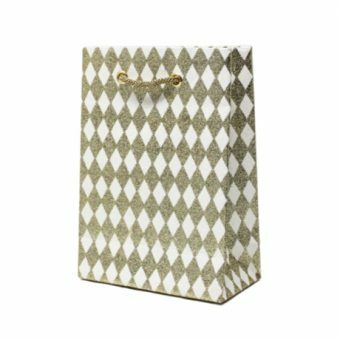 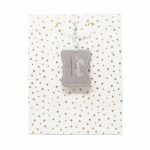 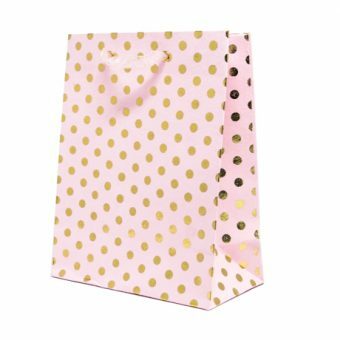 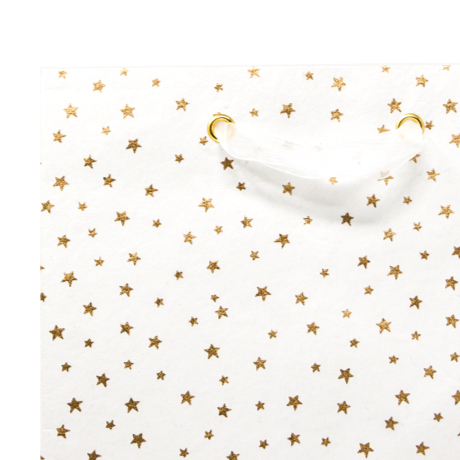 The Twinkle Star gift bag is handmade of completely natural recycled cotton materials and hand silk-screened with gold. 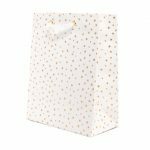 Perfect for a special child’s birthday, a newborn, the mother-to-be or even your Grandparents’ wedding anniversary. 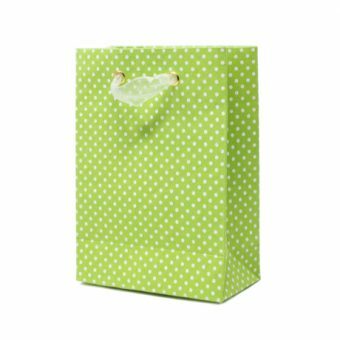 9.75 x 7.75 x 4"